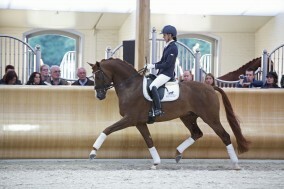 Today the WC Young Dressage Horses will start in Verden(Germany). This competition is for five-year-old and six-year-old dressage horses. Today will start with the vet-check. The five-year-old horses compete on Thursday for the first time.